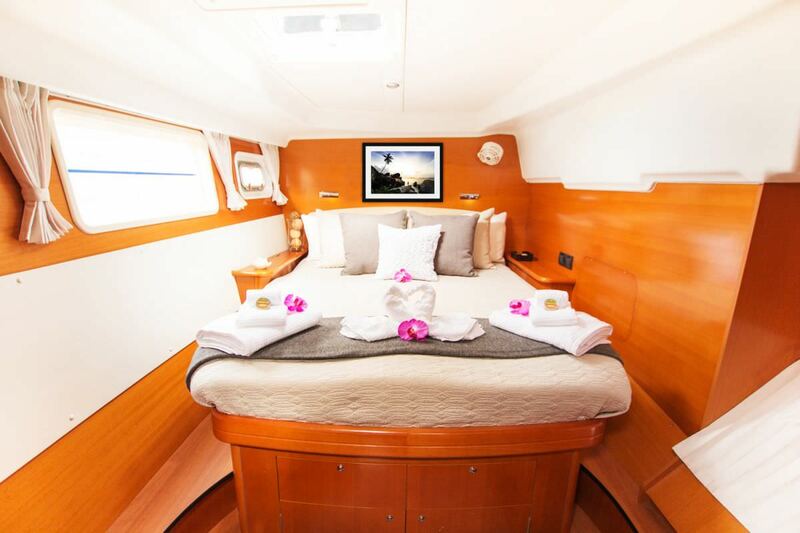 Hypnautic is an owner's version Lagoon 440 featuring one huge guest suite on the starboard side of the boat with it's own dressing area and private electric head with separate walk-in shower. 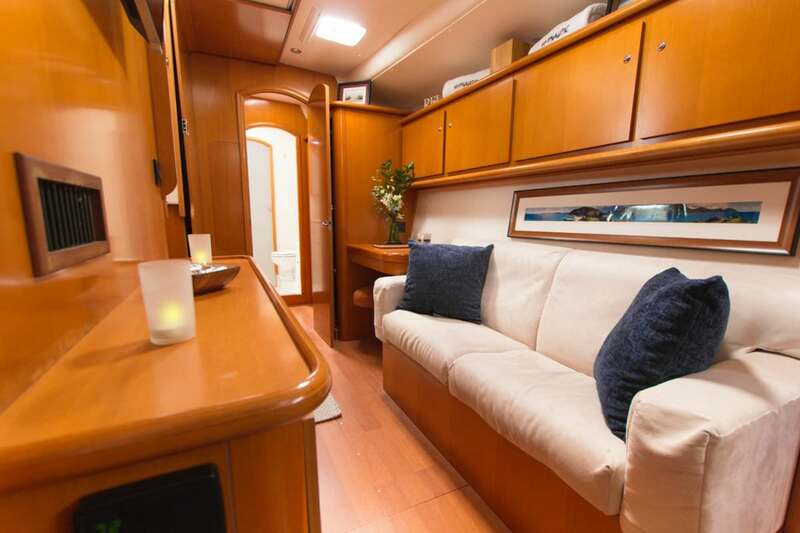 The starboard side offers a queen master suite with settee and en suite electric, dry head. 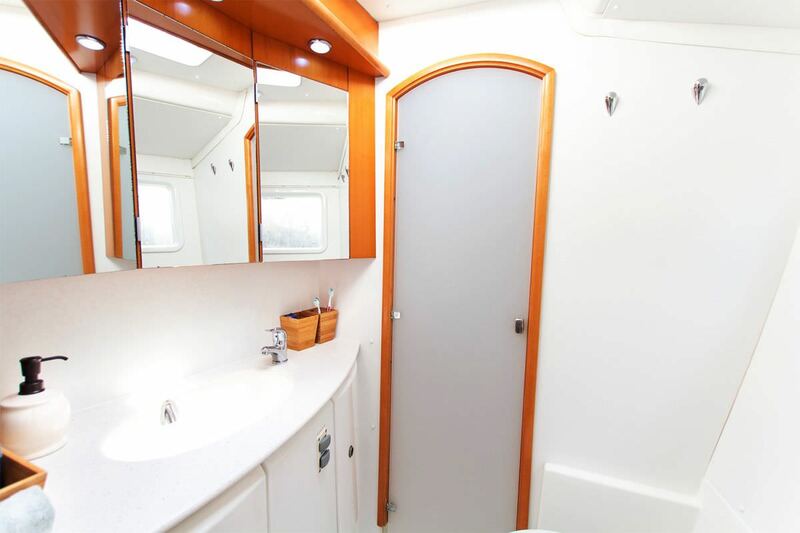 The port side offers 2 deluxe queen cabins, each with en suite electric, wet heads. 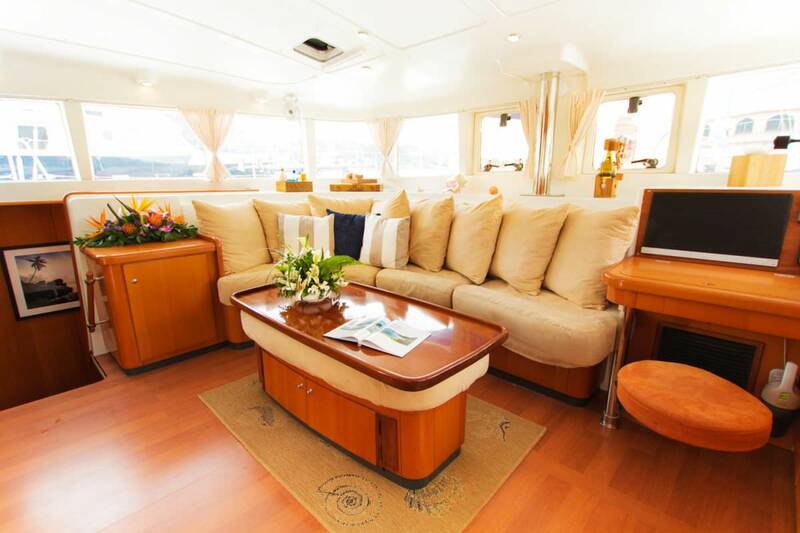 Forward on port side is a single berth that is air-conditioned. 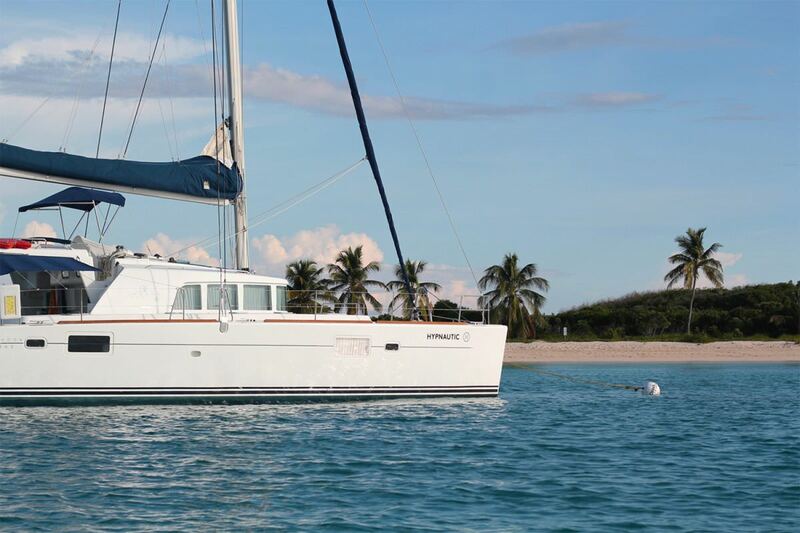 It is accessed via deck hatch and shares a head with one of the interior cabins. 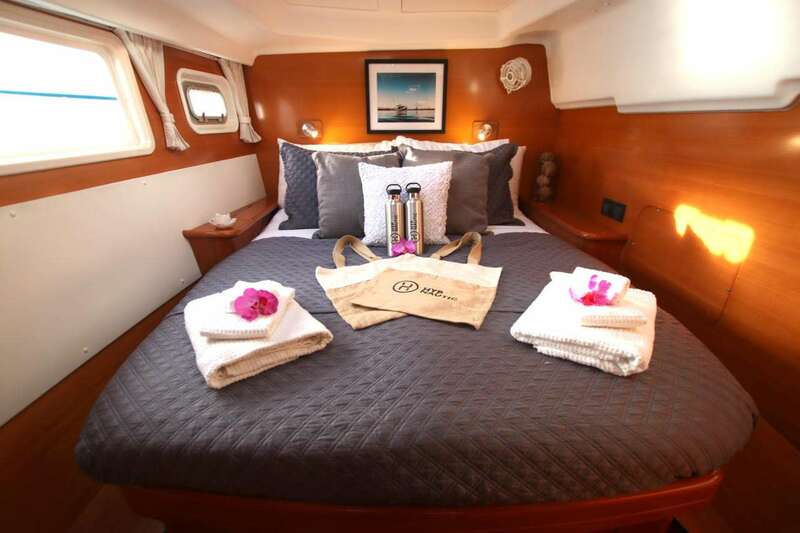 Crew utilizes either one port side queen or the forward single berth and can switch as needed based upon guest needs. 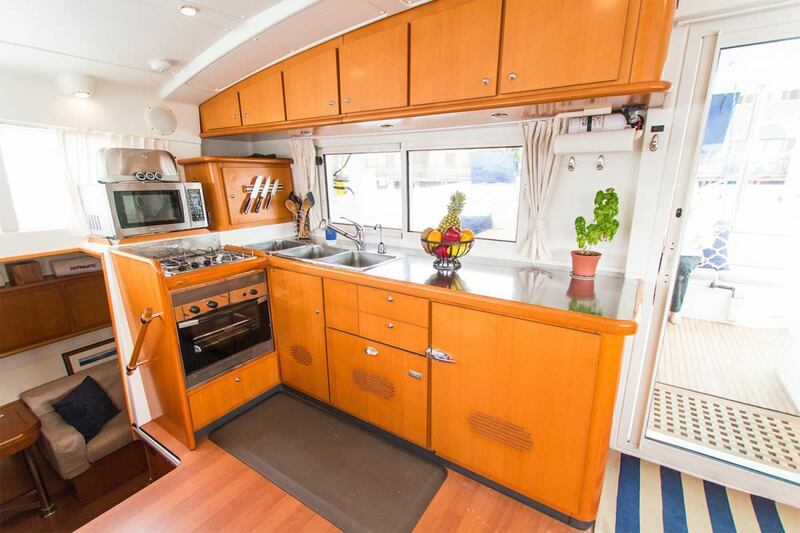 1) The huge cockpit which seats 8 around a large table and features a wetbar with fridge. 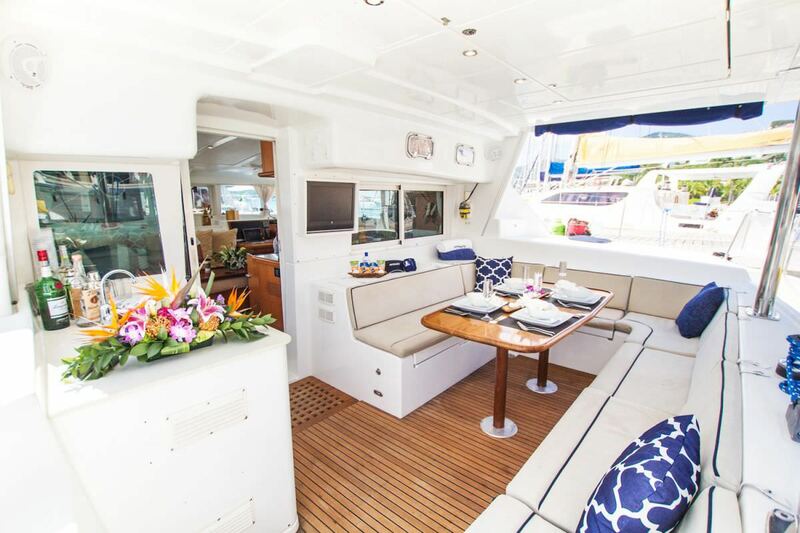 3) The forward bench seating - for a front row seat during the sailing or a quite place to enjoy a cocktail at sundown. 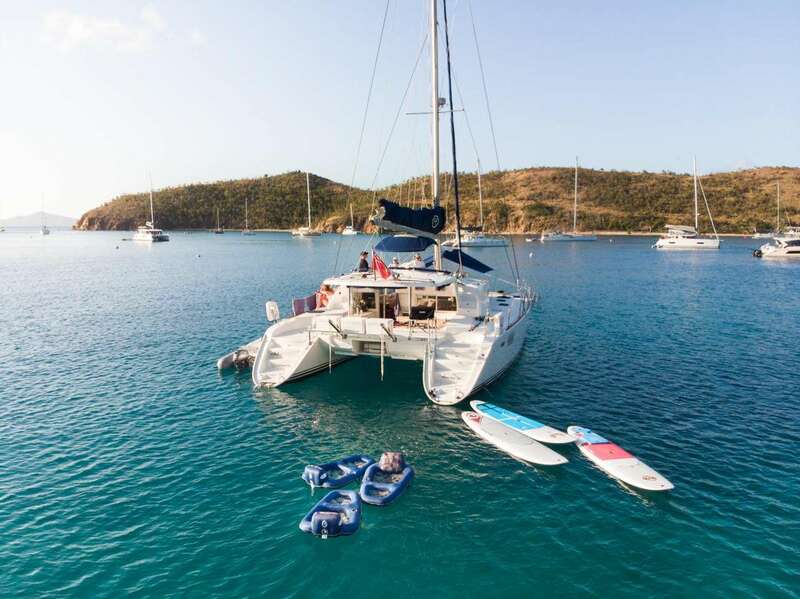 4) The forward trampolines for lounging in the sun.